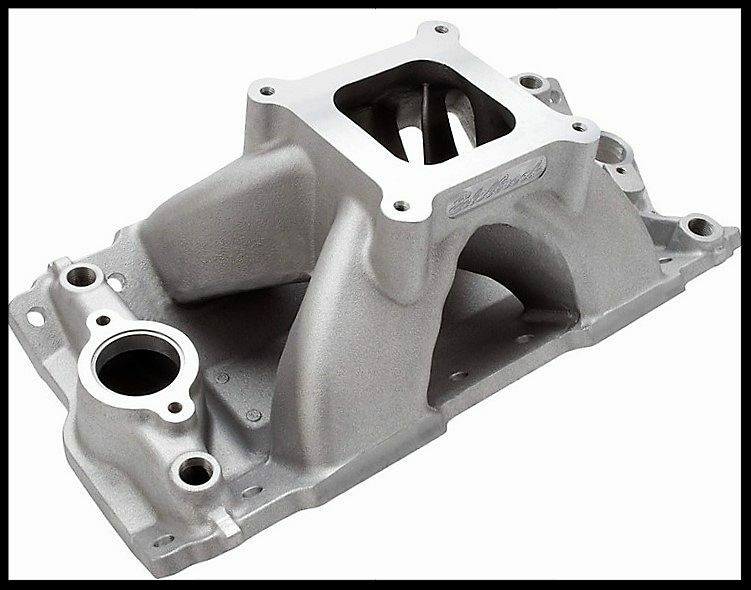 This small-block Chevy manifold is designed to work with modern high flowing 23° heads on large cubic inch applications. The runner area at the plenum is 25% larger than the Super Victor #2925, and the port exits are sized for use with a Fel-Pro #1206 intake gasket. Modern casting techniques create smooth, thin and extended divider walls for "out-of-the-box" performance. Just port match (up to #1207 - 1.38" x 2.28") and go. This intake is machined for 4150 style carburetors. Manifold Ht: 6.75" (A & B). Port exit dimensions: 1.18" x 2.08". 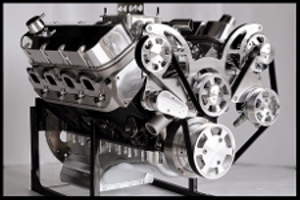 Expertly crafted from cast aluminum, the Edelbrock Victor Series Intake Manifolds for Small Block Chevy engines are single-plane, high-rise intakes designed for higher engine speeds and maximum race-winning power! Engineered in the USA in conjunction with leading engine builders and racers from all forms of competition, these intakes incorporate modern design with the latest racing technology.